But my shoulders have never been so light. Indeed, she would have borne the weight of the alleged incidents, alone, throughout her lifetime; the behavior, which she believes began at age nine when he allegedly entered her bed, licked her neck, and bit her ear, became so routine–in her bed, on the couch watching movies, in the kitchen–that it was “a defining part of her relationship with her father,” MPR reports. She claims that over 30 times, her father pressed his weight against her so she could not escape; in one instance, at age 20, she says he pushed her against a car and kissed and licked her neck. Laura first posted her story on Facebook in 2016 after moving to Colorado but soon took it down after minor media attention. Her uncle contacted the local police and county sheriff’s offices, which launched an investigation but closed it after two months, citing insufficient proof beyond reasonable doubt, though the case file contains no mention of an attempt to interview Jim. Laura had told friends, a teacher, and a church leader throughout her childhood, though nothing came of those attempts to seek help. The pastor said that Child Protection Services didn’t take the allegations seriously as sexual abuse, and a teacher claims he reported their conversation in a note to the school principal in 2013, to no effect. (The school denies having that note on record). 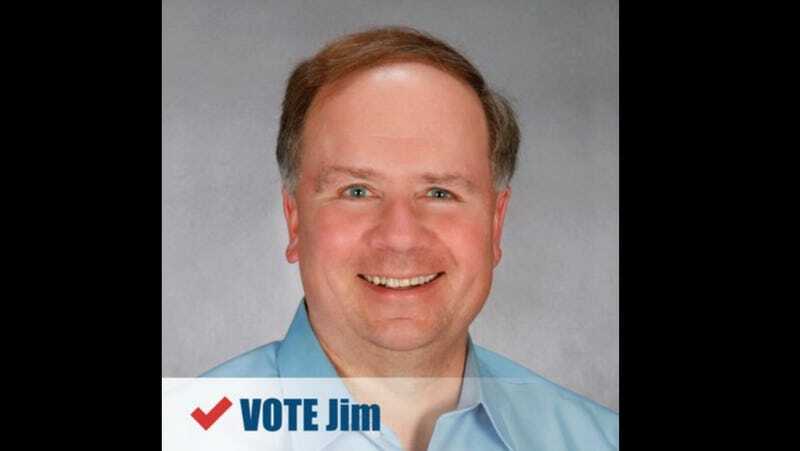 MPR notes that Jim had been a school board member for years. Laura’s cousin Isabelle Hughes confirmed to MPR that she had told her about the touching and kissing twice in elementary school but asked her not to tell “because her parents told her not to tell anyone.” A childhood friend also recalled that her father was unsettlingly touchy with Laura. I could fight on for another six weeks to defend my reputation while running for re-election. But this would entail subjecting my wife, son, and elderly parents, as well as my daughter, to six weeks of extreme stress and scrutiny. I’m also not willing to spend six weeks fighting with my daughter in the media. As a result, I feel I have no choice but to effectively end my campaign today so that I can work towards healing my family. Knoblach also stated that Laura had been estranged “for some time” after her original Facebook post in 2016. Jezebel has reached out to Jim Knoblach for further comment and will update the post if we hear back.